Can’t get enough spring craft ideas? Me neither! We’re finally getting longer periods of sunlight, the last of our cold weather snaps have (thankfully!) left, and it’s time to officially welcome spring! 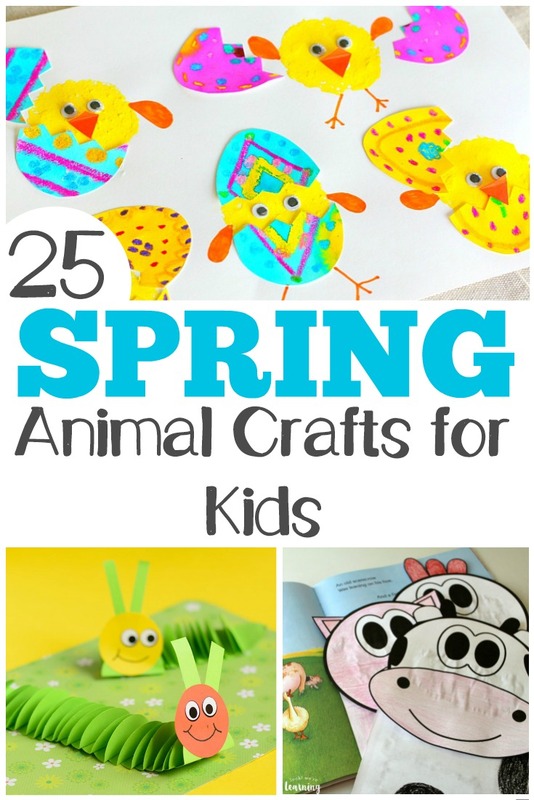 We see so many different kinds of animals in our area and springtime is a great time to try some adorable spring animal crafts and activities with the kids! 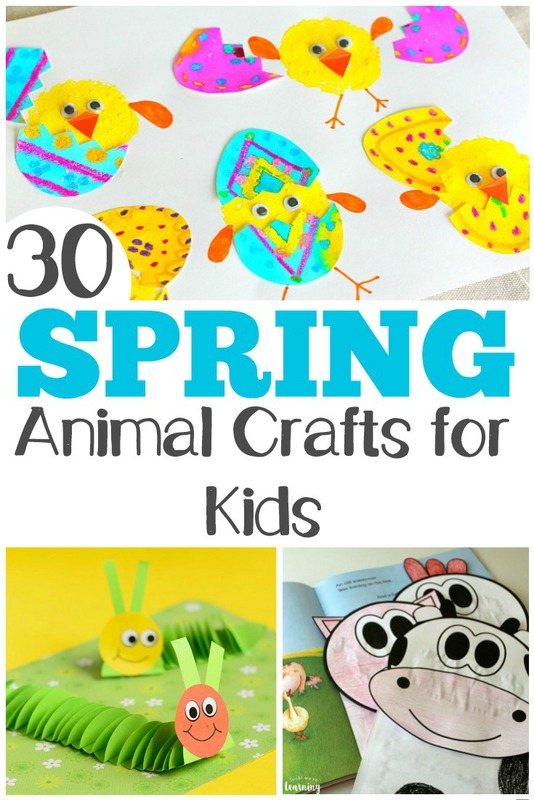 There are 30 below for you and the kids to choose from for some simple spring crafting fun! If you try any of these, let me know which ones you and your kids loved. And, for more spring learning, check out this list of 50 spring books for kids to enjoy! 1. Farm Paper Bag Puppets – Look! We’re Learning! 10. Birds In A Nest Craft – Crystal and Co.